For 150 years, Chopard has offered watch and jewellery creations of exceptional quality. Determined to perpetuate this tradition and these skills, the Maison Chopard also provides a customer service worthy of its ambitions through a worldwide network of official retailers and service centres. 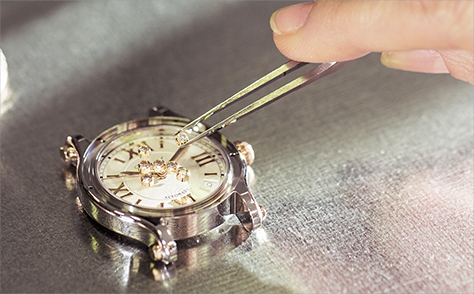 Services and repairs are performed by specialised watchmakers, jewellers and polishers capable of working both on contemporary and historical models. As part of its ongoing commitment to outstanding customer service, Chopard inaugurated a service center in September 2013 in Miami. The state-of-the-art facility will enable Chopard to further enhance its outstanding customer service by reducing turnaround times for maintenance and repairs and offering expanded services. The movement of a Chopard watch deserves particular care. 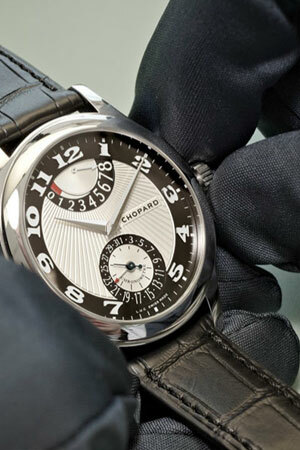 In order to guarantee its performance, it must be serviced regularly by an official Chopard service center. We kindly recommend having the water-resistance of a Chopard watch tested once a year or before engaging in any prolonged aquatic activity. To prevent any risk of deterioration and to preserve the radiance or your jewellery, avoid contact with fragrances and immersion in water. Chopard offers the following services for jewellery: cleaning, polishing and size alterations. Before cleaning your watch (water-resistant models only), make sure the crown and pushers are correctly pushed back in and/or screwed depending on the model. We advise washing the watch with liquid soap and regularly rinsing it under running water, especially if it is often used in salt water. Moreover, the use of chemical products for cleaning a watch is definitely not recommended, since it could damage the strap/bracelet and the water-resistance gaskets. Jewellery models with mobile elements (e.g. diamonds, gold letter, etc.) between one or two sapphire crystals are not guaranteed water-resistant. This means it is advisable to avoid any contact with alcohol-based products (perfumes, creams, etc.) as well as immersion in fresh or sea water. Chopard watches are equipped with security gaskets that guarantee their water-resistance. Over time, these gaskets may deteriorate and the case may be less resistant to water. We kindly recommend having the water-resistance of a Chopard watch tested by an official service centre once every year, before engaging in any prolonged aquatic activity or after a violent shock. When the temperature changes abruptly, slight condensation may form under the watch glass. Generally, it disappears of its own accord without affecting the smooth running of the watch. However, if the misting persists, it is important to consult an official Chopard retailer or an official Chopard service centre. Please kindly take note that leather straps should not be immersed in water. For frequent or prolonged use in water, we recommend a rubber strap or a steel bracelet rather than a leather strap. It is normal for leather straps to become slightly darker over time. The movement of a Chopard watch deserves particular care. In order to guarantee its performance, it must be serviced regularly by an official Chopard service centre. In order to guarantee the performance of a quartz watch, movement testing and battery replacement must be entrusted to an official Chopard service centre, which will ensure it respects the brand’s specific criteria. We strongly advise against leaving a worn-out battery in a watch, since it might damage the movement. The water-resistance of a watch is generally given in metres (m) or bar (1 bar = 10 metres). A watch bearing the mention “Water-resistant”, with or without a pressure indication, must comply with and have successfully undergone the tests foreseen by the NIHS 92-20 norm (equivalent to the ISO-22810 international norm). They may be used in conditions involving variations in water or air pressure or temperature. However, regardless of whether or not there is an additional mention of the pressure, they are not intended for scuba diving. So-called diver’s watches are wristwatches that must be able to withstand diving at depths of at least 100 metres (330 ft), be equipped with a dive-time control system and meet all the criteria stipulated by NIHS 92-11 norm (ISO 6425): luminosity, shock-resistance, resistance to magnetic fields and sturdy wristband. 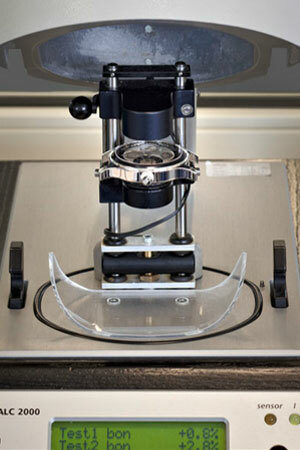 Wrist movements are the key element in winding a self-winding watch. The energy used for winding such a mechanical movement is accumulated in the barrel spring(s) via the oscillating weight, thus ensuring a sufficient reserve of power which is subsequently released as required. If a self-winding watch is not worn for a certain period of time, its movement stops, because the barrel(s) will not have enough energy to make the movement work. Before being worn again, the watch must be manually wound by turning the crown several times in a clockwise direction in order to build up a sufficient power reserve. A hand-wound watch must be regularly wound using the crown in order to ensure its smooth running. This operation can be done at any time of the day without any risk of damaging the movement. Manual winding is complete when one can sense a certain resistance of the crown. To avoid damaging the movement, it is therefore important not to force the crown beyond this point. Some L.U.C. models can be indefinitely wound because they have a so-called “slipping spring” system fitted to the barrel. This system avoids any excessive tension of the springs and prevents the winding from locking and the barrel spring from breaking when the barrel is completely rewound. Hand-wound L.U.C. 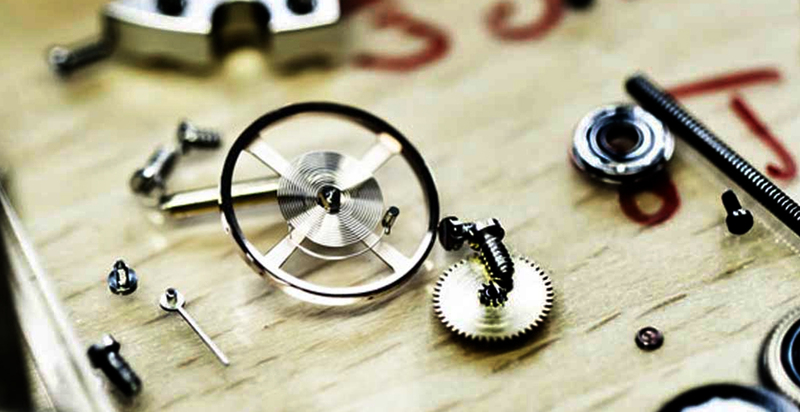 Tourbillion models come with a winding assistance tool that facilitates the adjustment of the watch. As these models require a longer winding, the winding assistance tool has been developed to make this operation more comfortable. The tool must not be used when adjusting the hours and minutes, since it could damage the winding stem and crown. Chopard watches are meticulously crafted in our workshops and have undergone numerous stringent quality controls. Like any precision instruments, they require regular maintenance (cleaning, inspection of their regularity and verification of their water-resistance). 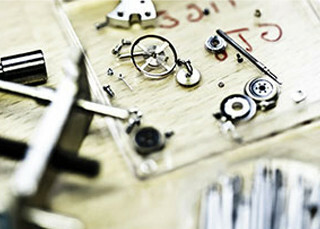 Any servicing, restoration of the movement or checks must be performed exclusively by an official Chopard service centre. Each Chopard model is identified by a series number recorded in our archives. Your Chopard watch is warranted for a period of (2) years from the date of original purchase from an authorised Chopard dealer against any manufacturing defects under normal use, after such defects have been confirmed by our technicians. This limited warranty does not cover damage arising from normal wear and tear, accidents or improper use. Chopard jewellery models are crafted with great care in our workshops and subjected to a series of rigorous tests. Your Chopard jewellery is warranted for a period of (2) years from the date of original purchase from an authorised Chopard dealer against any manufacturing defects under normal use, after such defects have been confirmed by our technicians. This limited warranty does not cover damage arising from normal wear and tear, accidents or improper use. We invite you to bring your Chopard product to your nearest Chopard official point of sale. All are, without exception, requested to take care of your item, or send or bring it to its nearest Official Chopard Service Centre. Upon reception of the item in one of our Official Chopard Service Centres, the estimate (if required) will be delivered to the client within 24 to 48 hours. Once approved (if required), the average service completion delivery turnaround time will be around 10 to 20 calendar days.